Ron and Maggie Tear Photography: Budhist symbol. Budhism is the second largest religion in Japan. 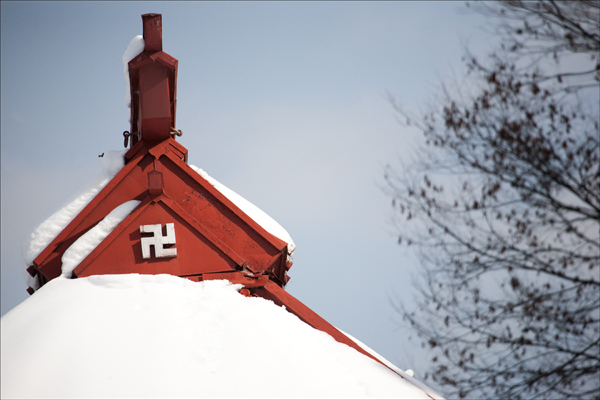 This symbol from acient India decorated the gable of this home. Associated with the symbol of the Nazi Party in Germany but reversed. The origins from the 11th centuary.